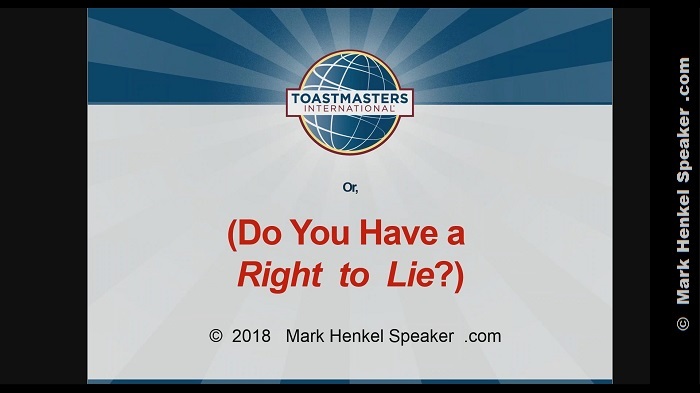 Or, Do You Have a Right to Lie? Do you find the two-part title of this webinar to be somewhat… provocative? Worry not! That was my smiling intention. 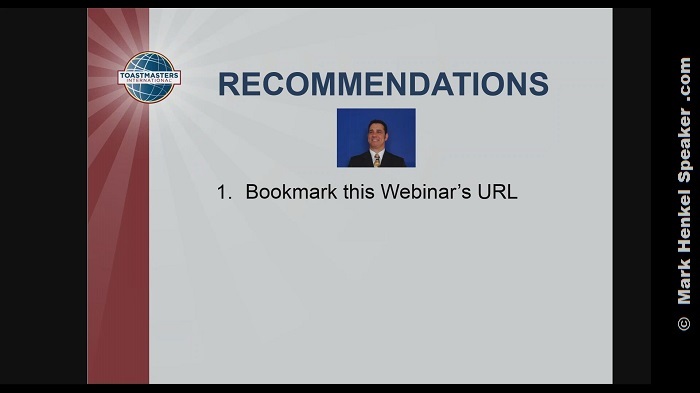 To help you always remember this webinar later (i.e., to be “sticky” in your memory). Without it, most of us could really “care less” about such an otherwise “dry topic” as analyzing a ballot. 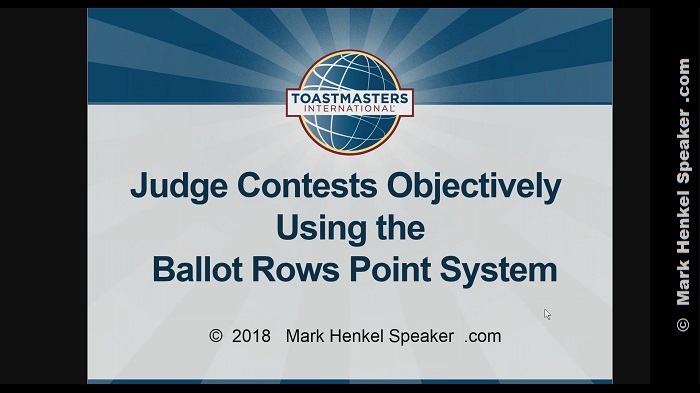 Yet, despite any potential “dryness,” learning this information is still extremely important for all of us who are Toastmasters – especially when it comes to being an official JUDGE at our Contests at every level. You might perceive the second part of the title as provocative. You might even think it is going in a direction that it honestly is NOT. Even though this is “purposely, positively provocative,” I encourage you to continue on… and you will thereby see where I am ACTUALLY going with this. 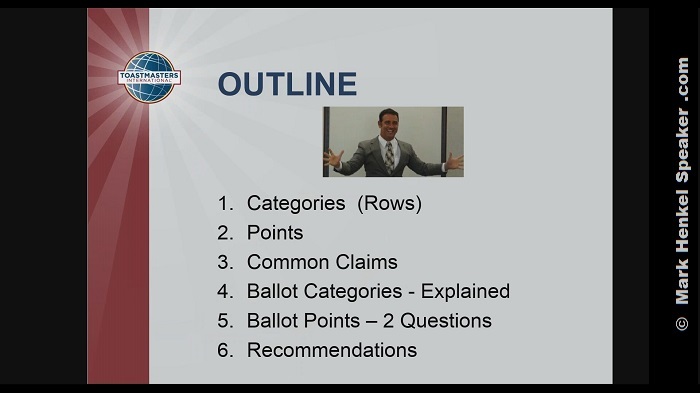 Not only that, but as we proceed through this webinar, we are also going to have some fun along the way, too! So, now that I have your attention, I also have to explain the purpose of the INTRODUCTION. 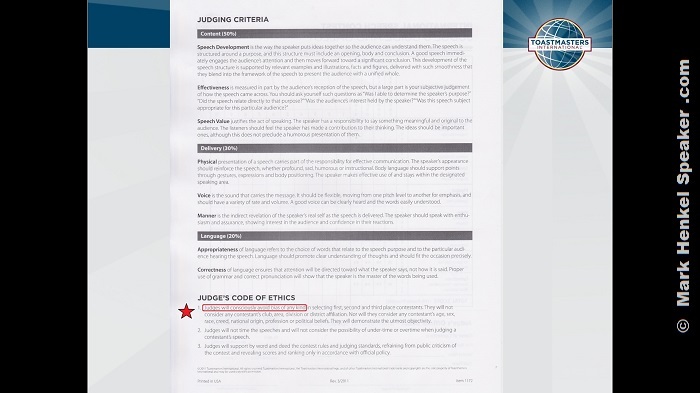 Unquestonably, the JUDGE’S BALLOT is a comprehensive topic. 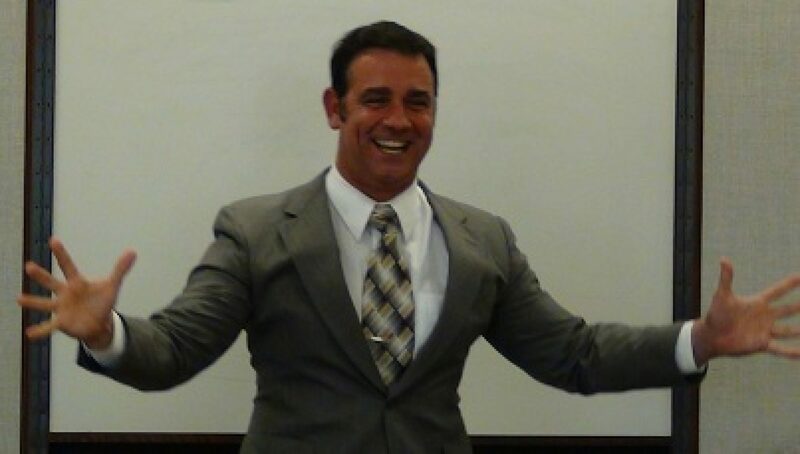 As such, to credibly teach this material, I believe that one has to be a proven expert in the material – especially because this subject matter can, does, and will cause questions for many people. I have performed every role in numerous Toastmasters contests, have competed several times, have won up to the District stage a number of times, and have trophied in the District 45 International Speech Contest. 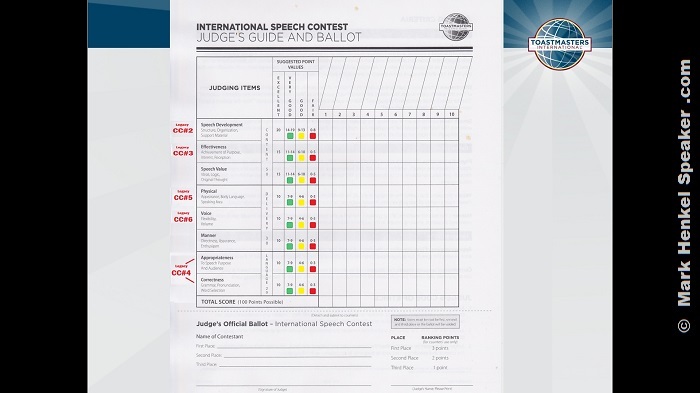 I have both purchased and intensely studied the speeches of various years of WCPS, World Championships of Public Speaking. But that’s not all that I have done. In order for viewers to have confidence that this webinar has been presented by someone who is experienced, dedicated, and knowledgeable on such Toastmasters issues, that is why I believe it was necessary that I provide a specific pre-written INTRODUCTION for the webinar’s host to use to open the webinar. I do this so that you may know that I really do bring an extensivee set of qualifications to this presentation so that you may be assured to have confidence in what is being taught here. That is, this INTRODUCTION is shared for your benefit, as readers and viewers. You may simply click this link, “INTRODUCTION,” to read it in full-printed PDF form directly. The following pictures are screencaps while that INTRODUCTION was being read by the host. The corresponding captions will also include links for your further verfication. 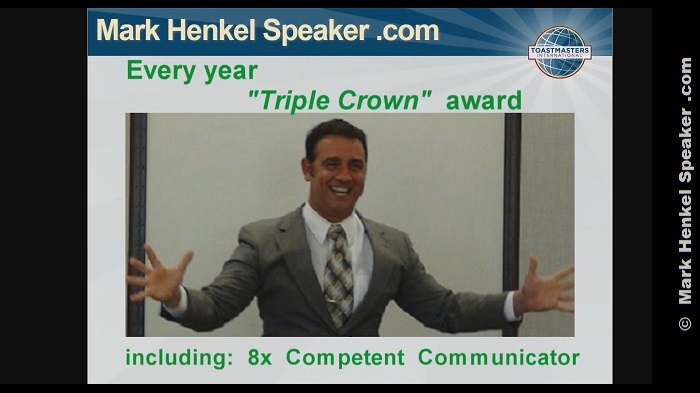 – Including completing 8 Competent Communicator manuals. own original workshops at District Conferences. on the District-level Contest stage a number of times. Rather than have this webpage here “give away the goodies” of this webinar, the following pictures are screencaps of the OUTLINE and its 6 Sections. A link is also included with each screenshot so that readers here may go directly to each specific time-start section in the video. This way, you may use this webpage here as a resource for re-locating information within each specific section. begins in the video at: 4:33.
begins in the video at: 4:52.
begins in the video at: 8:40.
begins in the video at: 20:00.
begins in the video at: 25:18.
begins in the video at: 38:05.
begins in the video at: 48:16. While there is so much more to see in the Video, the following pictures are a few more screenshots to give you a quick tease of what you can look forward to seeing. 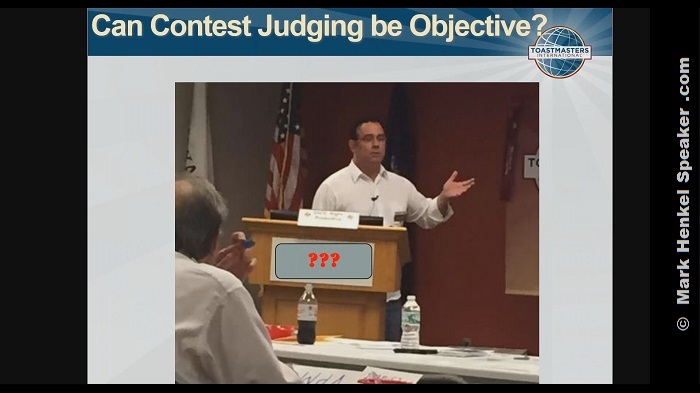 Can Contest Judging be Objective? 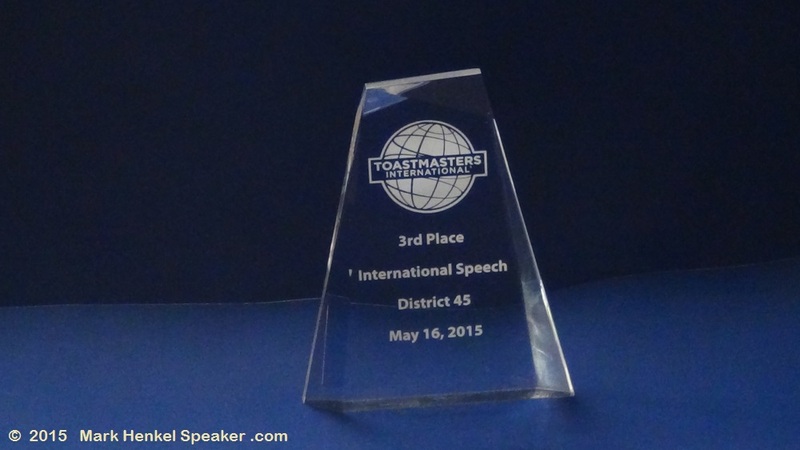 Do you want to learn how to more objectively judge a Toastmasters contest? 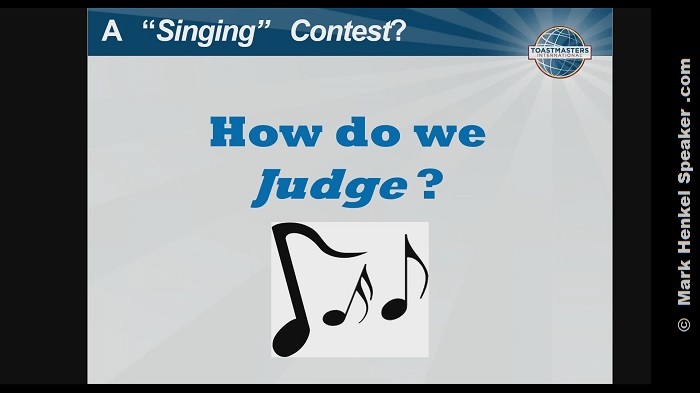 Are you ready to listen to the “Singing Contest” and enjoy a good laugh? 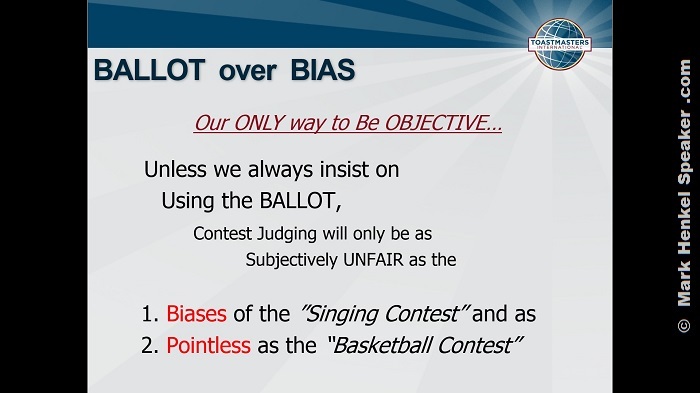 Do you want to see how the “Basketball Contest” proceeds? 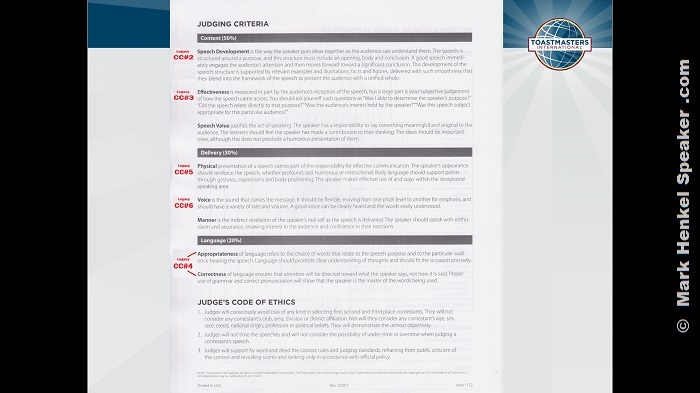 Are you “Quite Quite” or “Barely Barely” ready to learn how to determine contest Judging Points? Do you want to know what the (“purposely, positively provocative“) second part of the title means? 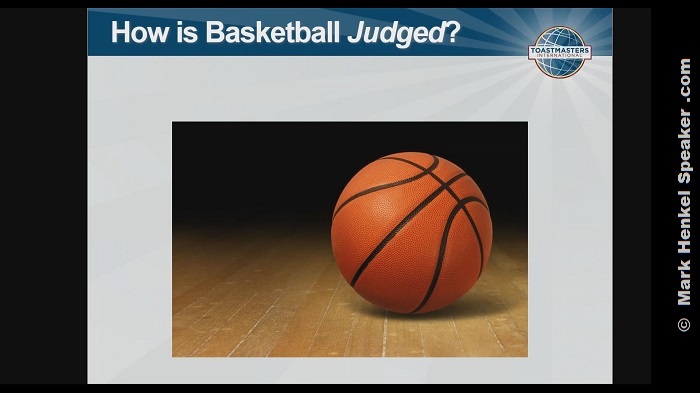 Well here it is… the video of this webinar. ENJOY! OUTLINE begins in the video at: 4:33. 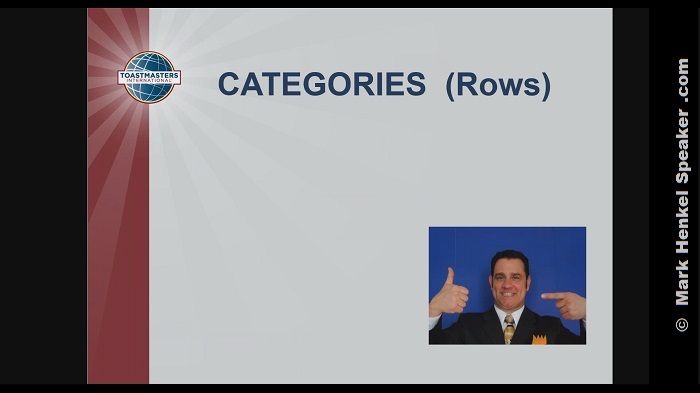 Section 1 – Categories (Rows) begins in the video at: 4:52. Section 2 – Points begins in the video at: 8:40. 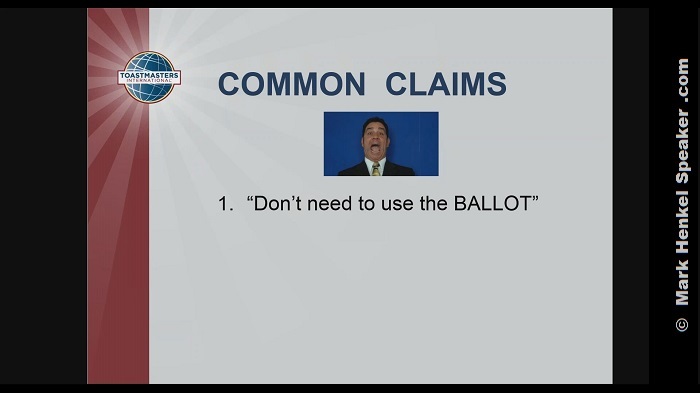 Section 3 – Common Claims begins in the video at: 20:00. 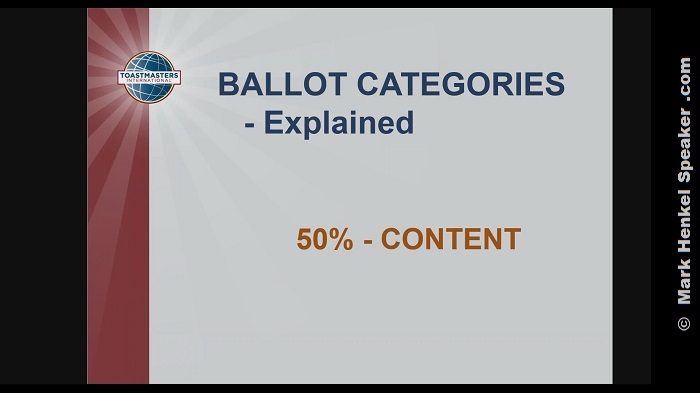 Section 4 – Ballot Categories – Explained begins in the video at: 25:18. 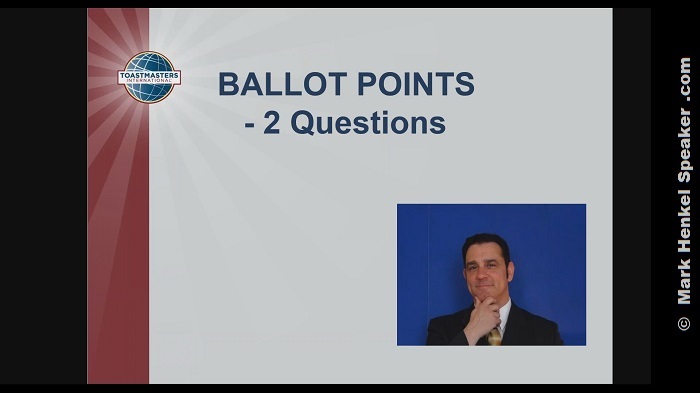 Section 5 – Ballot Points – 2 Questions begins in the video at: 38:05. Section 6 – Recommendations begins in the video at: 48:16. 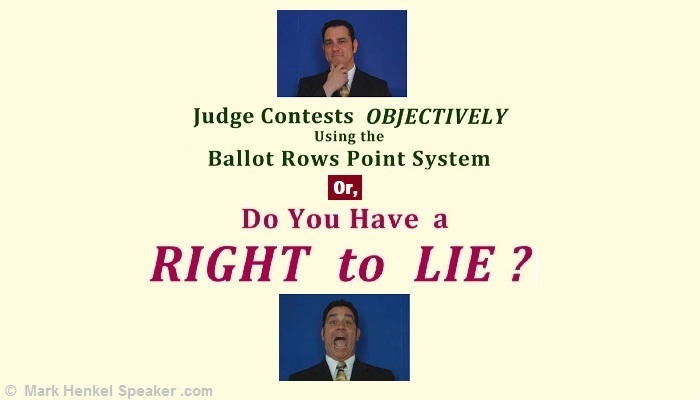 Judge Contests Objectively Using the Ballot Rows Point System – Or, Do You Have a Right to Lie?